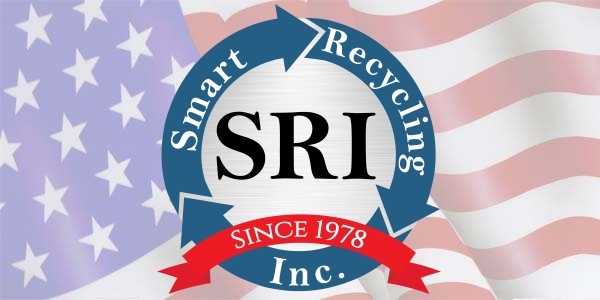 Scrap Metal Recycling Solana Beach - Smart Recycling Inc.
Open during business hours, Smart Recycling Incorperated is a full service scrap metal recycling specialist. The radio-dispatched vehicle fleet is available for same day service, or within twenty four hours of your inquiry. You’ll move forward knowing that any unusual situation shall be handled skillfully and expediently. Our ferrous and non-ferrous metal recycling service features a full support crew, including more than enough equipment to tackle almost any project, anytime, anywhere in Solana Beach. · Daily commitment to unequaled service and true metal prices! With Smart Recycling, expect the broadest selection of scrap metal pick up solutions and collection containers for recyclables in and around the Solana Beach area. From special solutions for reclamation, disassembly or collection, to identifying the aftermarket most favorable to you, Smart Recycling’s professional competency and adaptability is the best in the business. Each and every job is different. We understand, and that’s why we provide “hands on direction” by our senior team members. We start with a precise study of your situation, but it is the meticulous attention we place on meeting your particular needs that maximizes your cash from every recycling effort. That’s how Our organization has a very high customer retention and reorder rate. In the present rapidly changing environment, we see our clients as business partners and work diligently at providing cost effective ways to recycle scrap metals and other recyclable commodities. Smart Recycling specialists possess the knowledge, equipment, and authorization to compliantly offer demolition solutions for industrial plants, with every single staff member having completed current OSHA (Occupational Safety and Health Administration) schooling and certification. We’re surely prepared to organize a custom strategy that fulfills your plant’s demolition and clean-up requirements, regardless just how large or small the job. When you require containers for scrap collection and pick up, and a knowledgeable team of dispatchers, Smart Recycling is here to serve you. Logistics to transport, we will plan for dependable and efficient scrap shipment from your scrap yard or manufacturing center to one of our 4 recycling facilities. If you will need a roll-off container for your manufacturing center, development site, cleanup project, or at your recycling facility, we will bring it on-site and promptly. The most prevalent metals accepted by scrap yards include copper, steel, aluminum, brass, iron and wires of all varieties. With that being said, your own local scrap yard will likely approve additional materials for recycling and provide you cash payouts for your scrap metals. If you’re unclear what you have or what you may want to do, phone Smart Recycling and we will have a friendly specialist reply to every one of your questions for you. When you’re attempting to recycle scrap metal it’s important to determine what type of metal you possess. The most basic technique to determine what type of metal you’re dealing with is to employ a magnet. If the magnet sticks to your metal, you’ve got a ferrous metal in your hands, such as steel or iron. If the magnet doesn’t stick, you have a non-ferrous metal, such as copper, aluminum, brass, stainless steel or bronze. These metals are likely to be more valuable to companies like Smart Recycling. From there, you can use color, consistency and other aesthetic techniques to figure out precisely what type of metal you are dealing with. If you’re still doubtful, give us a call and we will be glad to help you in any way we can. Will Smart Recycling offer the specifications and quantity of containers required for picking up scrap? You bet. Not only does Smart Recycling furnish containers for continuous generated scrap, we will also supply you with custom sized bins of any size to support handling and sorting needs. How is the price per pound determined and managed for present and foreseeable future acquisitions? Most metal values are established upon marketplace conditions regularly. The approach most utilized by Smart Recycling is structured on the published Metal Market Report found in the American Market Journal; which may be provided if requested. Utilizing this system as a guideline, an agreed upon margin of plus or minus published values can be set for all upcoming purchases. Once we call for service, how long is going to it take for the actual pick up of our scrap metal? If a request for collection is initiated before 10am of any weekday there’s a very good possibility of receiving same day services. However, all service calls received will be completed no later than next day guaranteed. Special need situations are handled expeditiously. It is solely at the discretion of the agent representing its organization, traditionally, payments are produced within a 30 day duration of receiving scrap metals. Nevertheless, Smart Recycling will pay for all settlements during the time period identified by our customers. Salvatore J. Russo started Smart Recycling as Russo Metal Company in 1978. In those days the emphasis was purely industrial scrap. As time went by, the recycling division was developed, and after that surplus sales, then Dumpster rentals. In 1995 Russo Metal Co. was incorporated under the name Smart Recycling, an acronym for Scrap Metal And Recycling Technologies.